eponymous bistro. After sampling the menu Giles Coren, writing in The Times, concluded that "we are very lucky to have him back." Sample dishes include seared tuna to start with pan-fried breast of wood pigeon as a main but all of it cooked in a French rustic style. The dining room benefits from high ceilings and curved, modern contours creating a bright, high and airy space in which to enjoy the hearty cooking. Bistrot Bruno Loubet gyms, sporting activities, health & beauty and fitness. 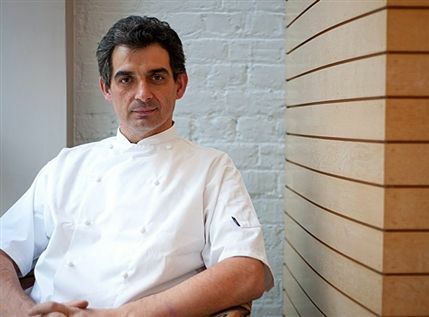 The best pubs near London Bistrot Bruno Loubet. Bistrot Bruno Loubet clubs, bars, cabaret nights, casinos and interesting nightlife. Where to have your meeting, conference, exhibition, private dining or training course near Bistrot Bruno Loubet. From cheap budget hotels to luxury 5 star hotels see our discounts for Bistrot Bruno Loubet hotels, including The Zetter Hotel London from 77% off.